Art, nightlife, festivals, dining, outdoor adventure—our city’s got it all. And WHERE Edmonton is thrilled to help visitors discover it. 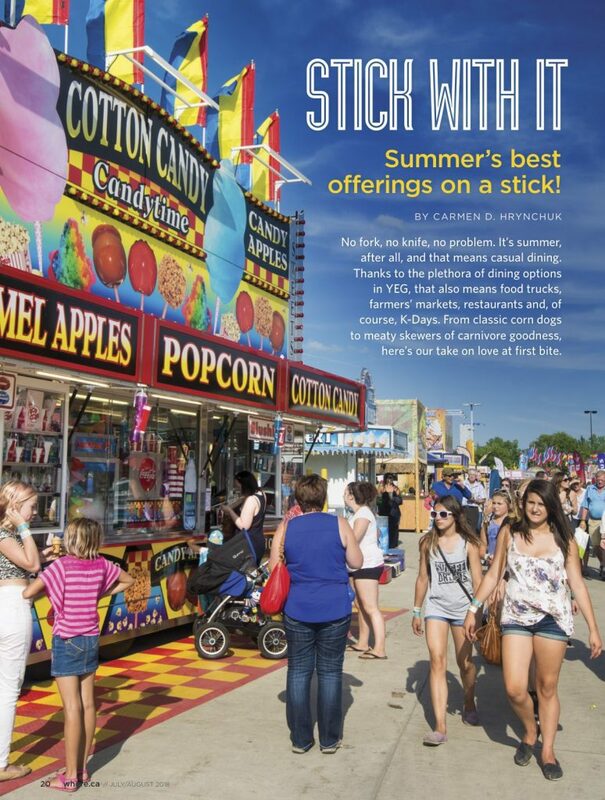 When it’s July and August, that means venturing out to hunt down summer’s tastiest offerings—on a stick! Thanks to YEG’s amazing food scene, that means food trucks, farmers’ markets, restaurants, patios and, of course, K-Days. From classic corn dogs to meaty skewers of carnivore goodness, “Stick with It” is our take on love at first bite.